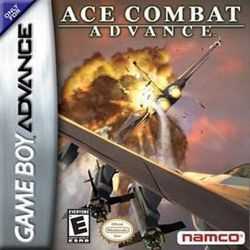 The Ace Combat series makes its debut on the Game Boy Advance with challenging missions, unlockable planes, and free-roaming environments. As the newest pilot in an elite fighter squadron, you must help destroy the Air Strike Force–the military arm of an evil multinational corporation. If you destroy enough enemy planes during your missions, you’ll unlock new planes. Fly in air-to-air and air-to-ground missions over arctic, forest, and desert environments. Each environment features destructible buildings and objects. Copyright © 2014 - 2019 SocksCap64, All Rights Reserved. Logos, Trademarks, Pictures Belongs To Their Respected Owners. Powered By WordPress. 95 Queries in 0.665 seconds.